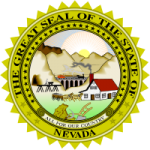 The Nevada child support calculator, is based on a formula that allows parents, whether they are custodial or non-custodial, the ability to estimate how much child support payments might be. Some of the factors considered in the calculation include each parent’s income and certain expenses including child support paid on behalf of other children. The amount you calculate will be just an estimate. The actual child support order may be different. Step 1: Figure out your gross monthly income from all sources minus legitimate business expenses. Do not deduct personal income taxes or retirement contributions. Step 2: Using the gross monthly income amount, look at the chart corresponding to the number of children involved in order to figure out the percentage of your income is owed for child support. This amount can be adjusted by the court depending on your specific circumstances.